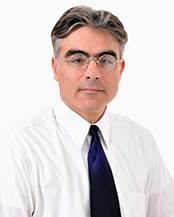 Sami W. Tabsh has been a faculty member at the University of Houston, Texas, and a project engineer for complex structures with Gannett Fleming, Inc., Harrisburg, Pennsylvania, USA. Dr. Tabsh's research interests are in reliability-based code development, bridge structures, high-rise buildings and large-scale experimental testing. He has been published man times in international journals and conference proceedings, and is a licensed Professional Engineer in the State of Pennsylvania, USA. Ph.D., Civil Engineering, University of Michigan, 1990. M.S., Civil Engineering, Penn State University, 1986. Director of Structures, Otak international, Abu Dhabi, while on leave from the AUS, June 2008-June 2009. Professor (2006-present), Department Head (2006-2008), Associate Professor (1999-2006), Civil Engineering Department, American University of Sharjah, UAE. Assistant Professor, Civil Engineering Department, University of Houston, Houston, TX, 1994-1999. Project Engineer, Transportation Division (Bridges Section), Gannett Fleming, Inc., Harrisburg, PA, 1990-1994. Professional Engineer, State of Pennsylvania, USA. American Society of Civil Engineers (lapsed). American Concrete Institute (lapsed).